In a report prepared by university of NSW titled ” Longevity Management Issues for Australia’s Future Tax System, The Treasury ” Australian political representatives plan to steal our retirement funds by converting everyone’s superannuation into a “pension” rather than one having the choice to take a lump sum when one retires. Professor Michael Sherris & Associate Professor John Evans from the university of New South Wales ( Australian School of Business ) wrote in their report the estimated premiums clearly show that greatest efficiency is achieved through the compulsory conversion of superannuation benefits to annuities through a public sector arrangement. The words “pension” and “annuity” are both sometimes used to describe the same financial arrangement, which is a stream of money paid regularly to somebody who is no longer employed and lasting for the lifetime of the recipient. The words are also used to denote the contractual terms that govern the payments. It comes as no surprise to discover that some annuities can perform the functions of a pension. Highlighting the many similarities and the few important differences between pensions and annuities enriches both of these financial tools. We all know our current superannuation is invested with returns of interest, however the interest paid on all investments including retirement is minuscule comparative to the interest paid out of the monetary circulation on all falsified indebtedness. The interest paid on investments, particularly retirement funds is obviously a smoke screen by insurance companies who are financed by banks, & or directly owned by banks. One has to concede it is a well known fact every time the economy goes belly up we are told by our superannuation / retirement fund adviser’s that we have lost money by unexpected happenings in the markets . 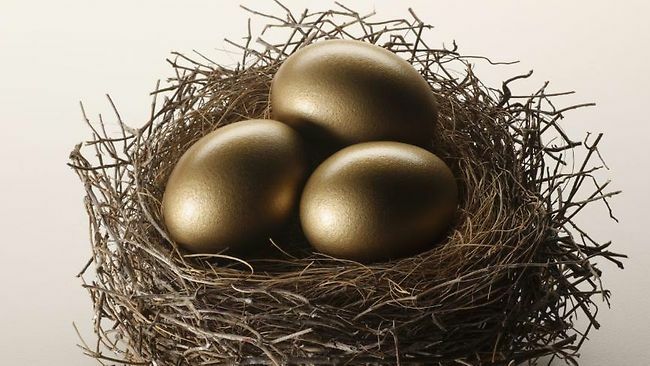 If I myself had a choice, which I don’t , would rather have my retirement sitting somewhere where it’s not subject to critical fluctuations in the markets without interest, simply because I would be far better off today if I just kept my superannuation under my bed. Indeed one can only conclude all those who deceive us are using our life time savings to play the markets of the likes of a fixed roulette table that always takes more than it pays out.